Queen Elizabeth and Wallis Simpson: The Houses of York and Lancaster. In the fifteenth century, as all good students of Yorkshire history know, there were battles in England for the throne. The combatants were the House of York and the House of Lancaster. These were known as the Wars of the Roses as each house used a rose as its emblem; white for York, red for Lancaster. But in the twentieth century there was another ‘war of the roses’ concerning two women who despised each other – Elizabeth the Duchess of York and the woman who was destined to become her sister-in-law, Wallis Simpson. Their men were brothers. The eldest, Edward VIII, was king for less than a year before he abdicated to that he could marry the twice-divorced Mrs Simpson. Due to this his younger brother became King George VI, propelling Elizabeth the Duchess of York to the position of Queen Elizabeth – later the Queen Mother. Elizabeth and George as the Duke and Duchess of York. Like all kings, Edward VIII had several titles, one of which he used when he was travelling incognito – he was the Duke of Lancaster. And Winston Churchill, for one, realised that the growing animosity between the two women was growing every day and that there was indeed another ‘war of the roses’ brewing. On July 9th, 1936, King Edward VIII gave a dinner party that was organised and hosted by his mistress, Wallis Simpson. There were many important guests, the most prominent of these being the Duke and Duchess of York, the king’s brother and his wife. Although the American press had gleefully reported the long-standing affair between Edward and Mrs Simpson, the British newspapers had not so the general public were largely unaware of the affair. But that wasn’t the case in society circles. At the dinner party, all the guests were aware of the relationship and the Duchess of York was fully familiar with the entire situation. And it worried her – she knew that Edward would have to abdicate if he was going to marry Mrs Simpson and neither herself or her shy husband wanted the throne that would be thrust upon them in such an event. But after dinner, a rather mischievous Winston Churchill regaled the guests with the story of King George IV who back in the eighteenth century had secretly married a twice-widowed woman, Mrs Fitzherbert. Everyone present realised the comparison he was making. And the situation with George IV had diminished the popularity of the royal family. But he didn’t stop there. He then set about a discourse on the historical Wars of the Roses between the Red Rose of Lancaster and the White Rose of Yorkshire. Everyone present knew that he was alluding to the current situation. Both the ladies in question it seems, were not amused. Edward VIII did abdicate and shortly afterwards, he married Mrs Simpson catapulting his brother George to the throne along with Elizabeth as his queen. The two women did not meet, write to each other or speak on the telephone for thirty years. 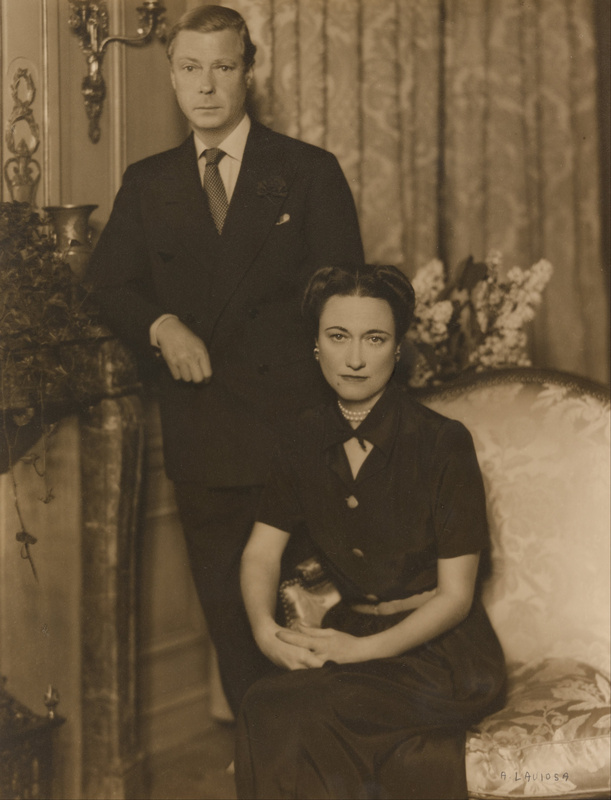 Edward and Mrs Simpson became known as the Duke and Duchess of Windsor. King George VI and Queen Elizabeth reigned until the king’s death in 1952 when their daughter Elizabeth became queen. The former Queen Elizabeth was then known as The Queen Mother. But in 1967, Queen Elizabeth II was to unveil a plaque to commemorate the centenary of the birth of Queen Mary. Queen Mary had been the mother of Kings Edward VIII and George VI. Queen Mary had had six children. So only two of her children had survived until 1967. For the first time – and the last – Edward was invited along with his wife. When Edward was presented to The Queen Mother, his royal training came to the fore. Even though he had regularly spoken out against her over the years, he bowed and kissed her hand as was her due as a formerly anointed and crowned queen. When it came to Wallis Simpson’s turn, she did not curtsey to the Queen Mother – a breach of protocol. The only people who were not required to curtsey to her in those formal days were her daughter Queen Elizabeth II and her husband Prince Philip although he invariably bowed and kissed her hand as a mark of respect. 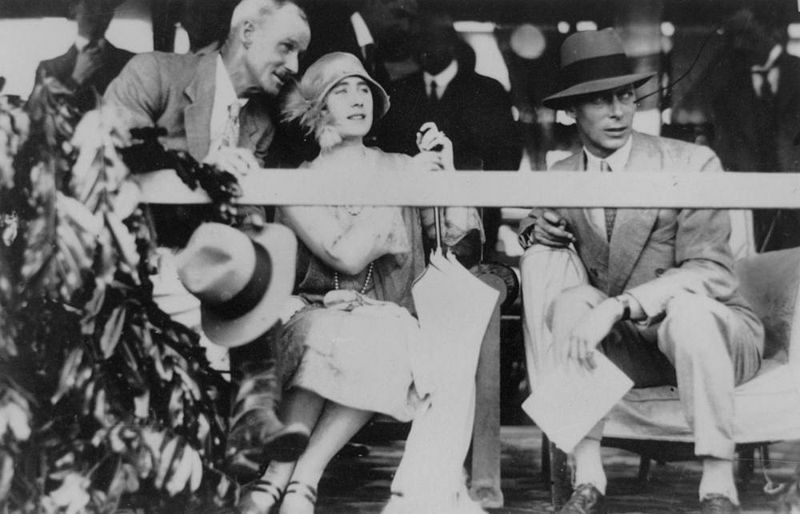 However, on this instance, even though Wallis ignored her – some say disrespected her – the Queen Mother chatted pleasantly to her for several minutes. By 1976, Wallis too was a widow, Edward having died in 1972. Her health – both physical and mental – was failing rapidly. In July 1976 it was announced that the still hale and hearty Queen Mother would be making the three day official trip to Paris where the Duchess of Windsor was living. Speculation was rife in the press – would the Queen Mother visit Wallis, the duchess? The royal line taken was that the Queen Mother’s schedule was very busy so it wasn’t known whether the visit would take place. But behind the scenes an arrangement was made for a visit to Wallis’ Paris home on the second day of the royal trip. But just before the Queen Mother was due to set out to Wallis’ home, her staff received a message saying that due to the duchess’ ill-health, the visit would no longer be possible. Was Wallis deliberately snubbing the Queen Mother? The Queen Mother then gave a quick instruction to a member of staff. She asked that roses be delivered to the duchess – one dozen red and one dozen white. Four decades after Winston Churchill had mischievously compared the feud between the two women to the Wars of the Roses, Elizabeth the Queen Mother put an end to the affair by the mingling of red and white roses. The card that was delivered along with the roses read — ‘In friendship, Elizabeth’. Footnote: Wallis did not recover from her ill health and died ten years later at the age of 86. The Queen Mother died in 2002 at the grand old age of 101.